We’ve done the preview and some other people who know what they’re talking about have also had their say. Today, with a whopping eight games, Euro 2012 gets underway. Remember, this is the preliminary group stage so 12 of the 16 teams will progress so a loss today won’t be disastrous but teams will be wanting to build points and set down markers (and the sort of thing that sports commentators say when they’ve run out of other things). Remember: it’s all live on the EHF Euro YouTube channel for viewers in the UK – and there will be a review programme every night at midnight on British Eurosport 2. After some exciting matches including two draws the latest batch of Champions League fixtures ends today. Below are previews and links to Sunday’s matches. All being well a full review of this round will appear tomorrow morning. Please correct any errors in the comments. Two teams who lost their opening matches. The Danes were late entrants to the Champions League, taking the place that had been allotted to AG Copenhagen, who they now (in resurrected form) trail in the Danish league having blown their own 100% domestic record last time out. In France, Chambery are unbeaten and are broadly keeping pace with Paris so it was something of a surprise that they lost at home to Metalurg in the Champions League. I’m backing the French team to win today. Flensburg shared 74 goals with Montpellier in the opening round of fixtures with the match ending in a tie. If they share 74 goals today it’ll only because they’ve won 54:20. Their only enemy is surely cockiness. Partizan lost by 7 to Medvedi last week and lost nine times out of ten last year. The earth would tilt slightly off its axis if they did anything other than lose again today. Match of the day as the embattled Montpellierians take on the Spanish dark horses. With the scandal breaking around them Montpellier drew with Flensburg but the next time out in the French League they lost to Toulouse which is something that just doesn’t happen. With this group becoming so tight – 5 of the 6 will be legitimately after the 4 places – they can’t afford to slip up in their home matches. I can’t really call this one. Super Super Saturday. 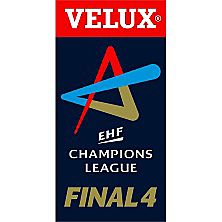 All your EHF Champions League details here. No time this morning for a proper review of the three games so far – one wild encounter and two draws – but that’s okay because there are a chunk more coming up, including the first live game on Premier Sports in the UK. Here they are – and, as ever, correct me in the comments! The Catalan Powerhouse (TM) barely had to get out of second gear in registering a massive victory in their opening match in Switzerland whereas the 2012 Final 4 reps had a fiddlier victory at home to Dinamo Minsk. They will need a major step up in performance if they are to get something out of their visit to Spain but obviously are more than capable of rising to the big occasions. It was the Foxes, after all, who halted THW Kiel’s 40 match winning streak in the Bundesliga. Berlin’s top scorer from last season’s Champions League Sven-Sören Christophersen was quiet in the Minsk match so they’ll want a bit more from him and need to combine that with smart defence. Simple. The bottom two in Group B meet in Slovenia and anything other than a big win for the Spanish giants over their hosts will be a shock so severe French authorities will want to investigate the betting. Madrid were far from coherent in their game against Kiel but five wins from five in the Asobal (with an average win of +5) show that they have little problem getting past weaker outfits. Celje will have to wait until the visit of IK Savehof before they a realistic chance for a home win. A match only a mother could love. St Petersburg got a handball lesson from Gorenje Velenje in the last match whereas the nine-time Polish champions eased past the second-best team in Denmark. They did so on the back of a combined 16 goals thrown in by Ivan Kupic and Zeljko Musa who both practically doubled their tally in European competition in one game. Presumably St Petersburg will be tougher nuts to crack, especially at home, but you’d have to back an away win here. The first Match of the Week to be broadcast in the UK on Premier Sports and it’s not exactly the one you’d be rushing to tell your mates about. The Hungarian hosts fought back well in Zagreb last week but were still comfortably beaten and for the Swiss there was only the inevitable home defeat to Barcelona. They will both have marked this game as being a possible win but the bookies make the home team firm favourites. That may be unfair on Schaffhausen but given that even Montpellier came unstuck in Szeged last year (no comments please) it’s probably wisest to back the Magyars. Two teams that won in their first matches will be looking to further strengthen their chances of qualifying out of the wide-open Group C. Metalurg caused a bit of a shock by beating Chambery in France in the opening game and are comfortable favourites here. The boys from Skopje aren’t top of their regional league but that’s possibly because they’ve only played one game in it so far – but they did win that 31:19 – and it took a strong Zagreb performance to knock them out last year with Metalurg winning the home leg but losing on aggregate. Two-time champions of Slovenia, Gorenje Velenje are unlikely to be winning today.